Hawaii politician Helene Eleanor Hilyer Hale passed away of natural causes this evening (Feb. 1, 2013) in her South Hilo home. She was 94. Hale was born in Minneapolis, Minn., March 23, 1918 to attorney Gale Hilyer and housewife Ellen Harris Hilyer. She was the oldest of three children, and outlived both her younger siblings. Hale graduated from the University of Minnesota, as did her father and grandfather. Her grandfather was the first African American to graduate from that college. As a “colored” teacher with a master’s degree in English in 1940, she was unable to land a job. She headed to the South, where, in Nashville, Tenn., she taught at the Agricultural and Industrial College. There, she met her first husband William Jennings Hale Jr.. Together, they became affiliated with the Fellowship of Reconciliation, an organization committed to peace, justice and non-violence, which established what we know today as the American Civil Liberties Union. The couple went to New York City, where their daughter Indira Karma Hale was born in 1943. The Hales ultimately headed west, and Helene Hale continued her education at Claremont College. Between 1945 and 1947, she taught English and sociology at San Diego State College. There, she met poet Don Blanding, and his reading of a poem about Kona inspired her relocate to Hawaii. Hale, having endured racism amongst her family and in the communities she lived in on the mainland, appreciated the various ethnicities here. From 1947 to 1950, she taught English, drama, speech and social studies at Konawaena Intermediate and High School in Kealakekua. On a subsequent job application she wrote: “did not find the principal compatible.” In fact, the principal had criticized her for being an agitator for setting up voting booths to teach her schoolchildren in her social studies class about secret voting. Those who knew Hale know that the superintendent had told her, “Mrs. Hale, you would do well to just teach and keep your mouth shut.” She quit, vowing never to keep her mouth shut for anyone. Between 1950 and 1955, Hale worked for The Book House for Children, selling books and managing three to five saleswomen. The door-to-door sales work inspired her to run for public office. In 1954, she was elected to the Board of Supervisors, defeating republican incumbent Thomas “Lofty” Cook by a narrow 212-vote margin with 12,309 votes. The Hales lived on a coffee farm in Kona, calling it “Opihihale.” They moved to Hilo after Hale entered politics, reserving Opihihale for their retreats. In July 1956, Hale gave birth to William Jasper Kona Hale at the Hilo Medical Center. 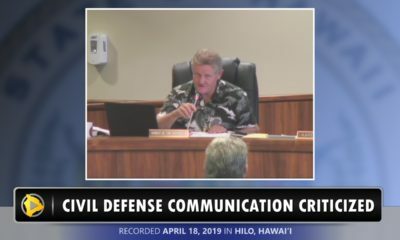 Hale defied the gender barrier, serving four terms on the Board of Supervisors, the last couple of years as the chief executive officer of the County of Hawaii, which is the territorial equivalent for the mayor’s position today. During her tenure in office, she was credited for the initiating astronomy development on Mauna Kea, erecting the first sewage treatment plant to clean up Hilo Bay, and establishing the Merrie Monarch hula festival. In 1965 she managed her own advertising and public relations firm, and published a tourist guide entitled, “Volcano (Orchid) Isle Guide.” She had a brief stint producing her own television show. In 1967, she obtained a diploma from the North American School of Advertising. That same year, she divorced William Hale. Between 1966-1967, Hale taught English at the University of Hawaii. Hale also served as a real estate broker and, at one time, was president of Hawaii Isle Realty. In 1978, she married Hilo businessman Richard Kiyota. That same year she was elected as a delegate from the Hilo district to attend the State Constitutional Convention. 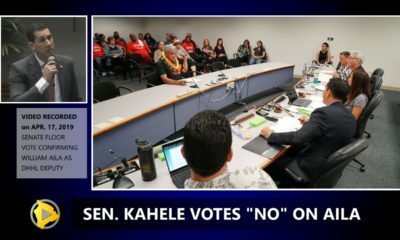 She then ran for Hawaii County Council and was elected in 1980, serving 10 years as a council member between 1980 and 1994. Among her achievements during that stint in public office was the establishment of the Ahalanui Hot Ponds and building of the Pahoa Community Aquatic Center. 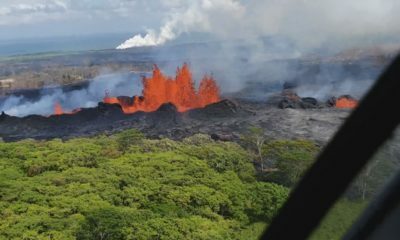 “We may be the Big Island, but that does not mean we have to prostitute ourselves for ‘big’ money,” Helene stated in 1992, when philosophizing about geothermal energy. In 2000, at the age of 82, with the campaign slogan, “Recycle Helene Hale,” she was elected to the state House of Representatives. U.S. Rep. Patsy Mink was among Hale’s many friends, and Mink once publicly described Hale as politician she “most admired” in Hawaii. Hale served six years in the state Legislature, retiring at the age of 88. 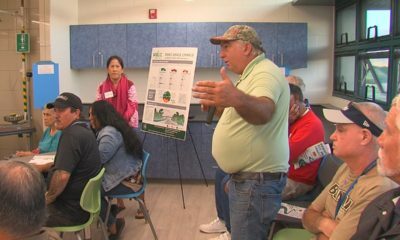 But that was not before she lobbied the school board and incorporated in the State House budget funds for what ultimately became the $8.6 million Helene Hale Gymnasium at Pahoa High and Intermediate School. Hale mentored many women and politicians. She was among the first African Americans elected to office in Hawaii and the first woman to hold an executive position in local government since Queen Liliuokalani. Her uncle Ralph Johnson Bunche won the Nobel Peace Prize in 1950 for his work drafting armistice agreements between the Arabs and Israelis in the Middle East, which ultimately ended the first Arab-Israeli war. In 2008, the National Association for the Advancement of Colored People awarded Hale with the NAACP Lifetime Achievement Award and gave a scholarship in her honor. Hale served on a plethora of organizations. Among the highlights: she was president of the Hilo Business and Professional Women’s Club (1979-1981 and 1987-1988); president of the Big Island Local Development Corporation (1965 to 1994); president of the Mauna Kea Foundation, an organization formed to support the astronomy industry; president of Hawaii Island Board of Realtors (1973); Realtor of the year (1975); past president of Hawaii Island YWCA Board of Directors; member of the YWCA Advisory Committee; past co-president of Hawaii County League of Women Voters; board director for the Family Community Leadership Advisory Committee; board director of Mainstreet Pahoa Association; president and founding member of the Hawaii Island chapter of the United Nations Association. 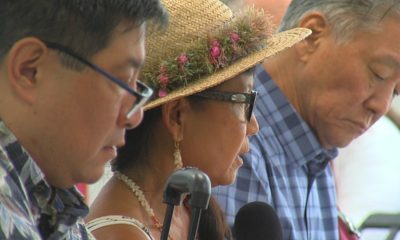 She was a member of the Hawaii Conservation Council, Big Island Press Club, Big Island Alliance for Mentally Ill, Anela Street Kumiai, Chinese-American Friendship Association, Hilo Medical Center Association, and the Democratic Party. Hale was proud to call herself a politician, in the sense that she was a stateswoman, made hard decisions, was keen on leading, focused on promoting tolerance and equality, despised incompetency and bureacracy. She loved to travel, and considered herself “a citizen of the world,” spreading the spirit of aloha. Among the highlights of her extensive world travels: meeting the queen of Tonga and attending both the Beijing Women’s Conference and the World Youth Congress in Morocco. 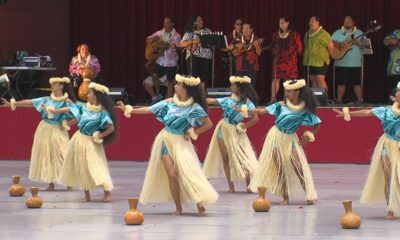 She was a member of the Association of Pacific Island Legislatures, and enjoyed her travels in that capacity. Hale was the grand dame of Hawaii Island politics, being the go-to woman for any aspiring politician and institutional knowledge on political history here. She was an avid reader, and was particularly interested in non-fiction writings, had numerous magazine subscriptions, and perused the newspaper daily. She enjoyed crosswords and Scrabble. She also enjoyed writing and public speaking. In 1996, Hale’s daughter Indira and Judge Marcus Tucker donated a collection of books on outstanding African American women to honor their mothers at the Burnett Library in Long Beach, Calif. In 2005, Indira gave a collection of books to the Hilo Public Library, officially establishing the Helene Hale Collection: International Women of Courage. Both of these library collections were ultimately endowed by her late daughter. Hale was preceded in death by her parents, siblings, husband, and her two children. She is survived by granddaughter, Angelique Kaiulani Tucker Stephens, of Hollywood, Calif.; son-in-law Judge Marcus Tucker, of Long Beach, Calif.; niece Barbara Hilyer and her husband John Daggett, of Portland; nephew ret. Judge Bruce Hilyer, of Seattle, Wash.; grand nieces and a grand nephew. Among Hale’s legacy will be the Helene Hale Scholarship Fund to be administered by the University of Hawaii Hilo. In lieu of flowers, memorial donations may be made in her name to the “University of Hawaii Foundation” to benefit either ‘Imiloa Astronomy Center, the Helene Hale Scholarship Endowment, or the UH Hilo Public History Enrichment Fund (which will be archiving Hale’s public papers). Donations may be mailed to UH Hilo Office of Development at 200 W. Kawili St., Hilo, HI 96720. Or, donations may be made in Hale’s name to any of the numerous organizations that Hale was affiliated with through the course of her extensive career. A tribute to Hale’s life will be held in Hilo at a time to be announced.